It seems that LG is really scrambling to make a big splash this year at MWC 2019. LG is likely to launch V50 ThinQ, marketed as Company’s first 5G smartphone. For this year, 5G is a big thing. Many Companies, Oneplus, Samsung etc. have promised to produce one of this type. According to a report by Korean publication, ET News, LG’s first 5G smartphone is likely to be a part of its premium V-series. It will name it as LG V50 ThinQ. However, The phone will make its public debut in March 2019 and it will be available across markets in North America and Europe. The Company’s first 5G smartphone, to be called- V50 ThinQ 5G is likely to be powered by Qualcomm Snapdragon 855 processor in its core. Alongside, It will have Qualcomm’s X50 modem, which provides 5G capabilities to a smartphone when paired with Snapdragon 855 chipset. The phone will come with a bigger 4,000mAh battery. 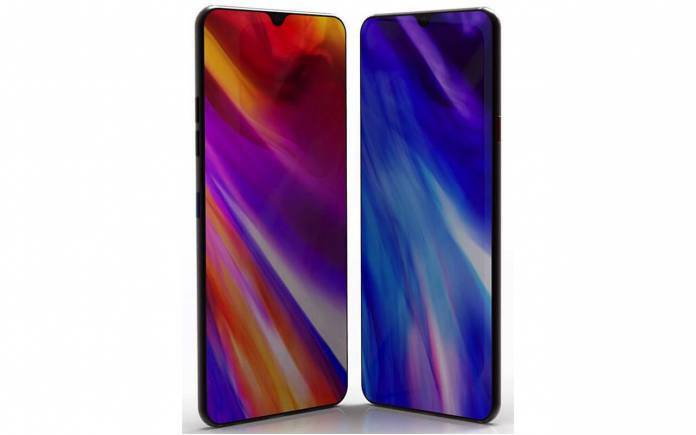 Further, It is expected to have a bigger vapor chamber than its predecessor, the LG V40 ThinQ. It would enable the phone to perform optimally, without heating. As per the leaks, the LG V50 ThinQ will feature a 6.3 or 6.4-inch P-OLED display with QHD+ resolution. For now, it is assumed to have triple camera setup, same as its predecessor. But there’s a lot of information which is not clear. This means we will have to wait till MWC 2019. Further leaks point at the ‘LG G8’, which could very well be LG’s last G-series flagship device as the company would offer its V-series device as its premium offering. Since it is assumed to be the last device in LG G-series, you can expect it to come with full of surprises and interesting features too. The LG’s first 5G device i.e. V50 ThinQ is tipped to cost between $1,165 and $1,350 which makes it Rs 83,000 – Rs 96,000, to be precise. Previous articleSamsung Announces 1TB eUFS 2.1 Storage Chip: Is It Bound For Galaxy S10 Plus? Next articleNintendo Needs More Time To Release Mario Kart Mobile Game: Here’s Why?